Ch Peter Lamb is a 35 year veteran of the fire service and has led three suburban fire departments and has served in multiple capacities at the Massachusetts Firefighting Academy up to and including serving as the director of state training. 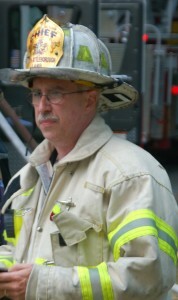 Chief Lamb has authored articles for periodicals and has lectured nationally on a variety of topics including, tactics, incident command, training, and operations. Chief Lamb is also the author of the training blog located at petelamb.com, The Host of Firefightingtoday.com, and he is also the host of The Firefighter Training podcast.